This fun, pocket-size book shares everything you need to know to celebrate the festival when the veil between the worlds is at its thinnest. Filled with crafts, recipes, spells, tutorials, and other unique ideas, this little book will help you make the most out of this special time of year. Explore how Halloween was celebrated throughout history, from harvest festivals and the Celtic new year through All Souls Day and trick or treating. Discover dTcor ideas for the home or garden, and learn how cats, bats, ghosts, skeletons, and other popular symbols became associated with Halloween. 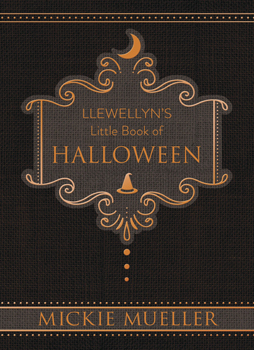 This book is a must have for anyone who already loves Halloween or for anyone who wants to know how to mark the day with a witchy twist.